The law is called RIDDOR, Reporting of Injuries, Diseases and Dangerous Occurrences Regulations. Employers and the people put in responsible roles need to understand the laws to avoid prosecution by the Health and Safety Executive. One of the ways to make sure you understand health and safety laws is by taking training courses. There are plenty available, but some are more valuable than others. It’s important to look out for training that is recognised throughout the UK. Some of the most popular courses to consider taking are accredited and awarded by NEBOSH and the IOSH. Training sessions can be completed at your work premises or at a suitable venue of your choice. These courses are provided by health and safety consultants who are fully qualified to provide the training. You can send any of your suitable employees on the courses and even attend them yourself. By receiving excellent training and a qualification you can gain a strong understanding on how to work within the laws and create a strong health and safety culture within your organisation. First aid training is another area that can benefit your business. All employers are obligated to provide adequate first aid training to employees as stated in the Health and Safety (First Aid) Regulations. On the first aid courses the delegates will learn more about reporting and recording details such as accidents and treated illnesses. You can use a first aid risk assessment to discover who needs the training and how many people you need to assign to managing the first aid. From there you will need to find a course that has been approved by the Health and Safety Executive. A health and safety audit can be useful if you are unsure of your current first aid provisions or recording and reporting policies. If you are not sure whether you are complying with the law the consultants can come and evaluate your current systems. By doing so you can put right any areas of weakness to avoid legal problems that could arise as a result of an inspection, being reported or an incident occurring in the workplace. 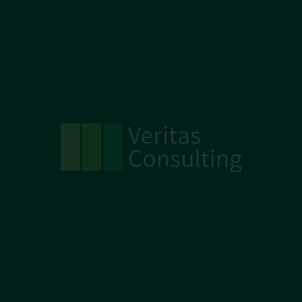 Two of the health and safety services provided by Veritas Consulting are health and safety training and Health and Safety audits. If you would like to discuss any of these services you are welcome to direct your questions to our team by calling 0800 1488 677.